Home » show and tell » wonky tree quilt…..
Posted by Automagically imported from Blogspot on March 25, 2011 in show and tell | Comments Off on wonky tree quilt….. This is ready for the quilter. I used every block I received and some of my own. 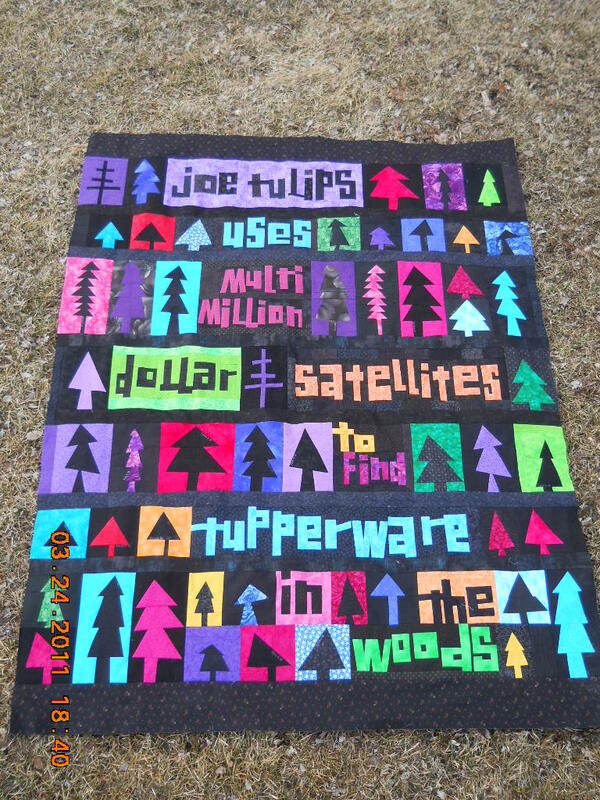 It is my geocaching quilt! I am posting a link, not everyone knows what geocaching is…. & thank you to all the participants who sent me your blocks.